Our firm has only experienced and qualified consultants who are highly motivated and enthusiastic, with a strong work ethic and a good eye for detail. Cut-Through Communications consultants are former journalists and government advisers with a solid understanding of how the media and government work. We have experience across all forms of media - wire services, newspapers, radio and television - and have held senior positions in government. Our firm has partnerships with award winning graphic artists, photographers and camera operators to help service the needs of our clients. Luisa is a former ABC television and radio journalist, producer and presenter. Luisa’s extensive career at the ABC includes reporting stories for ABC’s political and current affairs programs, ‘Inside Business’, ‘Stateline’ and ‘7.30 Report’. Luisa was a longstanding Victorian correspondent for the landmark current affairs programs, ‘AM’ and ‘PM’ and produced 774’s news-making morning talkback program. She was a founding director of Cut-Through Communications. 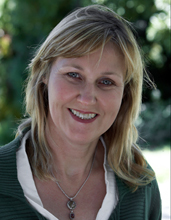 Aileen has more than 20 years experience working in the media and government. 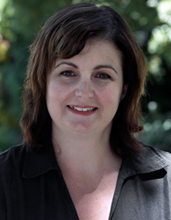 Aileen started her career as a journalist working on a Melbourne suburban newspaper. In 1994, she was appointed as a Media Adviser to the then Victorian Opposition Leader, John Brumby and later in Government worked as the Media Adviser to a Deputy Premier and speech writer for the Attorney General. Aileen continued working in Government as a policy adviser in the areas of health, education, the environment and justice before joining Cut-Through Communications.